The Yellow River doesn&apos;t have the Yangtze&apos;s size or depth of gorges and dams, as it feeds China&apos;s dry north, but it has more character and historic influence. Known as "the mother river", there are numerous historic and ancient attractions, as well as scenic sights, along it. 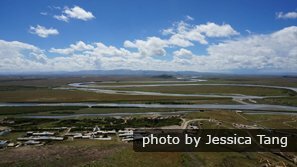 See the Yellow River’s source land from the Qinghai-Tibet Railway. To say you&apos;ve really seen China you ought to see at least some of the Yellow River. The Yellow River is a potent icon of Chinese geography and history. 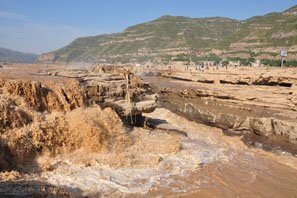 The Yellow River (黄河 Huang He) is known as "the Cradle of Chinese Civilization" as China&apos;s Xia Dynasty origins are found on its banks, and the "River of Tears" as its flooding has taken millions of Chinese lives. 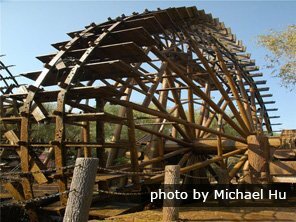 Dominating dry North China, it has a different character to the Yangtze, offering a whole different range of attractions. The following are the major tourist cities on the Yellow River from source to sea: Lanzhou, Zhongwei, Yinchuan, Baotou, Yan&apos;an, Luoyang, Zhengzhou, and Kaifeng. They are all good places to go and see the Yellow River. The Silk Road crosses the Yellow River at Lanzhou. The Yellow River&apos;s top attractions include forest parks, deserts, grasslands, Hukou Waterfall (the classic Yellow River attraction), the Loess Plateau, and ancient cities. See below for details. For nature lovers we recommend the deserts and grasslands of Zhongwei, Yinchuan, and Ordos. For history and culture enthusiasts we recommend Yan&apos;an, Luoyang, Zhengzhou, and Kaifeng. 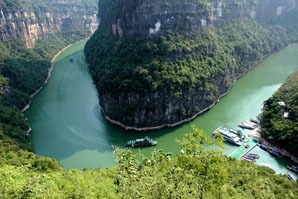 For those on the Silk Road we recommend seeing the Yellow River at Lanzhou. The Yellow River (along with the Yangtze and the Mekong) begins in Yushu Tibetan Prefecture of Qinghai Province. This is inhospitable, high-altitude, mountain country, but the Qinghai-Tibet Railway runs through it. Lanzhou is the first major city on the Yellow River and for a long time had the only bridge over the Yellow River in the region, making it a key stop on the Silk Road. Lanzhou has several attractions centered on the Yellow River, like Zhongshan Iron Bridge, Waterwheel Garden, and Five Springs Mountain. Zhongwei in west Ningxia offers Shapotou, one of the most beautiful deserts in China, with the Yellow River flowing through, and Tonghu Grassland, an "Eden within the Desert". Yinchuan is the capital of Ningxia Hui Autonomous Region, located where the Yellow River dominates in the north of Ningxia. Suyukou National Forest Park is a beautiful scenic area to enjoy, only 25km from Yinchuan. 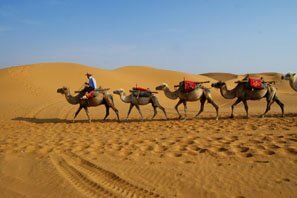 At Baotou, in Inner Mongolia, recommended things to do include seeing the Tomb of Ghengis Khan and the Singing Sands of Ordos, and experiencing Mongolian nomadic pastoral life on the Ordos Grasslands. 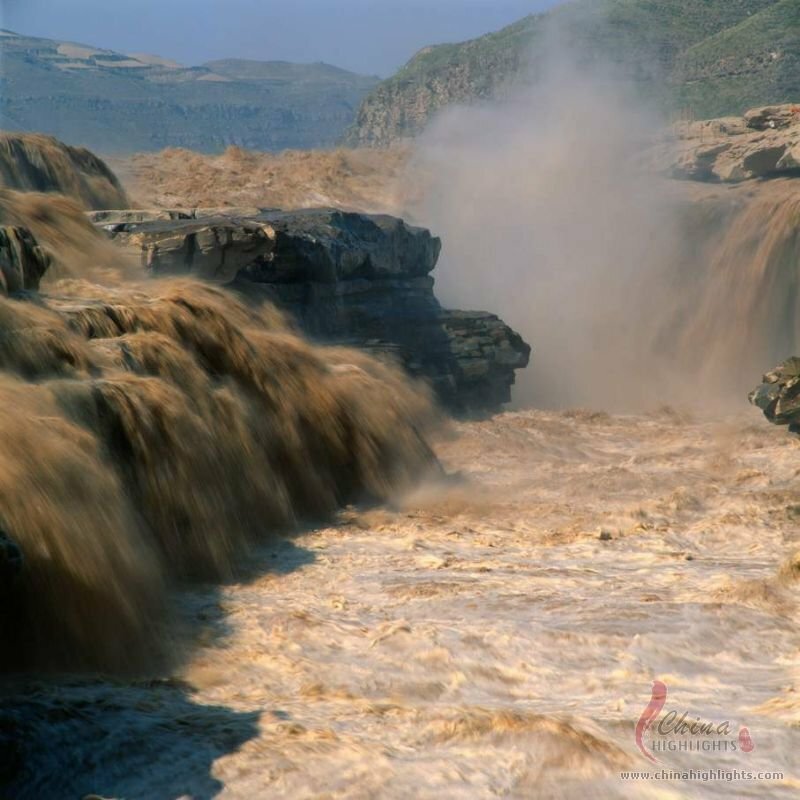 Hukou Waterfall (&apos;Teapot Mouth&apos; Waterfall), 400km (250 miles) from Xi&apos;an, is the most spectacular waterfall on the Yellow River, where the Yellow River&apos;s yellow waters are funneled and poured like tea from a giant teapot. Read more on Hukou Waterfall. Hukou Waterfall is near Yan&apos;an, the historic Communist headquarters at the end of the Long March, where Mao Zedong, Zhou Enlai and other China&apos;s leaders of the revolution lived in loess dugouts, and plotted the defeat of the Japanese and the Communist rise to power. Yan&apos;an also has the Mausoleum of the Yellow Emperor, China&apos;s legendary ancestor. Pingyao Ancient Town in Shanxi Province is the closest tourist destination to Hukou Waterfall. It is a famous ancient town in China with lots of ancient architectures. Learn more about Pingyao Ancient Town. Mian Mountain, about 40 km from Pingyao Ancient Town, is the birthplaces of Qingming Festival, noted for its natural scenery, especially for its cultural and religious relics. Learn more about Mian Mountain. Luoyang is one of the Eight Ancient Capitals of China. You can retrace its history by visiting Luoyang Old Town District. 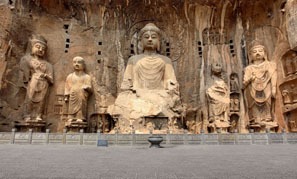 The cave dwellings are also must see attractions in Luoyang. Dug out of the loess cliffs, these homes stretch across the countryside in Luoyang. Enjoy a completely different world, as you discover how modern people still live in caves. Zhengzhou is one of the Eight Ancient Capitals of China, offering both culture and natural scenery. 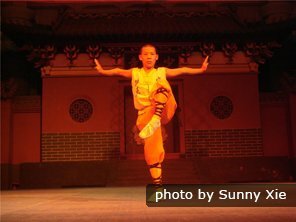 Shaolin Temple: The birthplace of Shaolin Kungfu should be visited by those who have an interested in martial arts. Mount Song: one of the Five Sacred Mountains of China, it is known for its natural beauty, geology, and great historical and cultural significance. It is a good place for sightseeing, mountaineering, adventure and recreation. Henan National Museum is one of China&apos;s best museums. Zhengzhou Yellow River Scenic Area: a large recreational park 30 km northwest of Zhengzhou, offering temples, historic statues, hills to ramble up, and views of the Yellow River. Kaifeng, another of China&apos;s eight ancient capitals, has many architectural attractions, including Iron Pagoda, Pita Pagoda, Shanxi Shaanxi Gansu Guild Hall, and Kaifeng Jewish Quarter are the most famous. Most of the city&apos;s historic relics are kept in Kaifeng Museum. If you are interested in visiting any of the above cities or attractions near the Yellow River, China Highlights can offer you assistance. Contact us and we can tailor-make a tour with the Yellow River and your other chosen China sights. Just tell us your interests and requirements.